Blog from the University of Michigan School of Information's Office of Professional and Community Engagement. I participated in the Multidisciplinary Design Jam on January, 26, 2018. This was a great experience for me because I got to work with diverse group of students to develop my soft skills, while also learning more about the design process. We joined stakeholders from Wayne County Health Veterans and Community Wellness to design a tool to reduce the risk of inmate medical needs not being effectively identified and addressed. For starters, I loved the Multidisciplinary Design Jam because I got to work with students from different backgrounds and areas of expertise to solve a real-world problem. My group had graduate students from the School of Social Work, Michigan Law School, School of Public Health, and the School of Information. Our group’s diversity enabled our group to think about the problems in many different points of view because everyone single one of us had different insights and knowledge about the problem we were attempting to solve. This diversity also allowed me the opportunity to refine and develop my communication skills because I had to explain my ideas to the rest of my teammates and they all had different backgrounds and experiences. It was very cool to combine all of our ideas and insights with one another to prototype a solution for the stakeholders of the project. This was also a good experience for me to develop my brainstorming and time-management skills because we had to deal with time constraints so we couldn’t fully develop our ideas and thoughts. I got a better understanding of the design process due to fast-pace nature of the project because we were able to go over the entire design and iteration process within such a short time. I feel like I’m more prepared to for the real-world because I know that most Information-related careers are very fast-paced working environments. 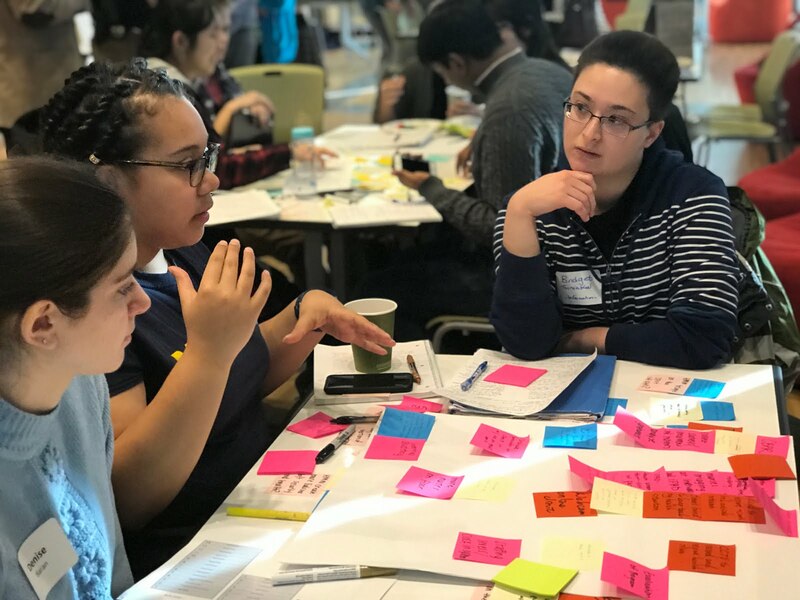 Overall, the Multidisciplinary Design Jam was an enriching experience because I developed my interpersonal and communication skills through working with a diverse group of people. I also learned more about the design process, while also developing key skills that I will use during my time at UMSI and beyond. I recommend students of any discipline to participate in a future Design Jams because it provides great exposure to real-world projects and clients. The UMSI Office of Professional and Community Engagement is an initiative to facilitate transformational, high-quality engaged learning experiences for all UMSI students with local and global community partners.